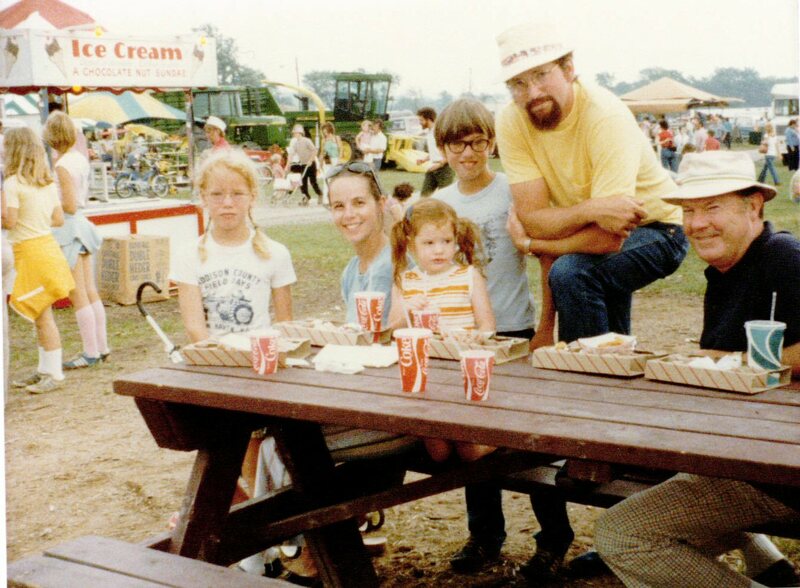 Last week’s day at the carnival with the kids reminded me of my own week of Field Days in Vermont when I was little. Man oh man – the rides! the horse shows! the livestock competitions! the tents and buildings full of home-made and home-grown things! the tractor shows (we were made to watch…) The FOOD!! I must have been 3 or 4 here? Maybe 5? (1978-ish??) Not sure. And geez – I guess my hair WAS as red as Maggie’s. Oh how cute! Love small town carnivals. They can be so much fun! Fun times! Our local fair is in August, can’t wait! Thank you so much for going Way Back, Nancy! Wow, that could be Maggie sitting there!